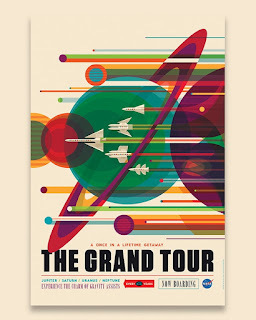 The NASA of today seems to be so far gone from the NASA that was sending manned missions to space. Now they have an army of rovers, satellites, and a couple of people on the ISS. They have moved to a much more technology focused mix, and in the process may have lost a bit of it's luster and human touch. 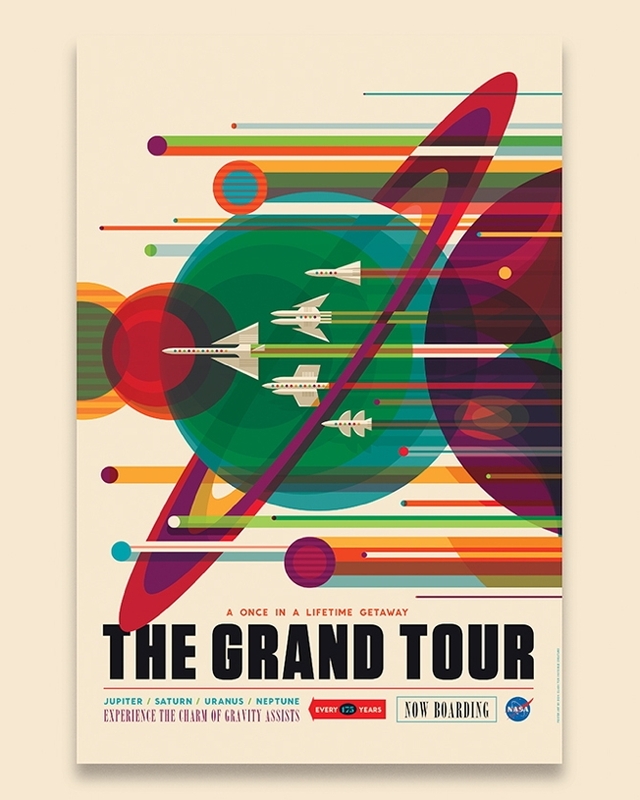 In an effort to potentially recapture hearts and minds of the public a set of travel-esque posters have been commissioned in a retro-futuristic style that inspire people to think about traveling to distant worlds and planets for their next vacation. They are filled with beauty and nostalgia.